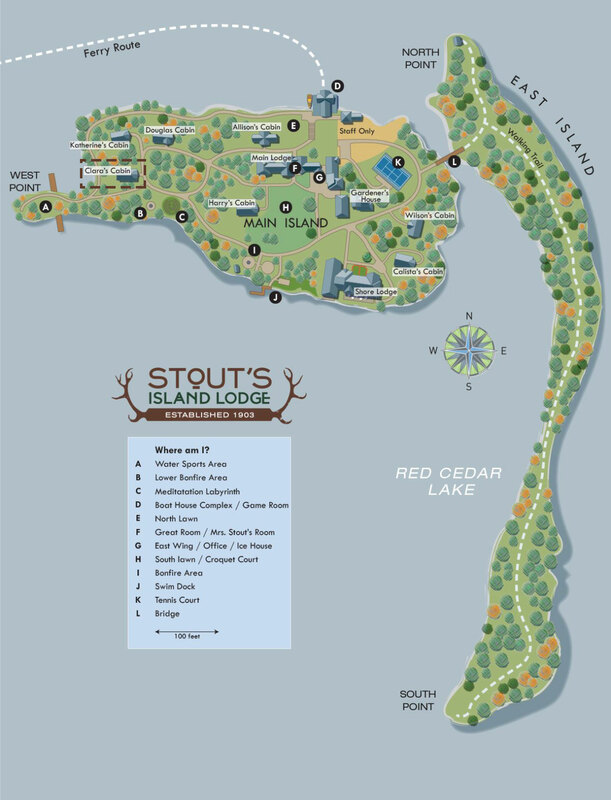 Clara’s cabin is named after Clara Stout, Frank D. Stout’s wife. Built after the departure of the Stout family, this cabin stays true the theme of rustic elegance. By renting the three rooms that make up Clara’s cabin, groups of 6-8 guests will enjoy a private cabin with kitchen, deck, and beautiful views of the south side. This cabin contains rooms Clara 1, Clara 2, and Clara 3. Details regarding the amenities in each of these rooms can be found below. Rooms may be rented individually or together (subject to availability).